THA 073: Your Turning Point: The pivot(s) that improved your business. Your Turning Point: The pivot that improved your business. Have you ever thought about a big event that you could call a life pivot? A circumstance that made a change in your life or your business? Many of us can claim distinction to some monumental occurrence that could be classified as an important pivot point. This Academy is all about those pivots. 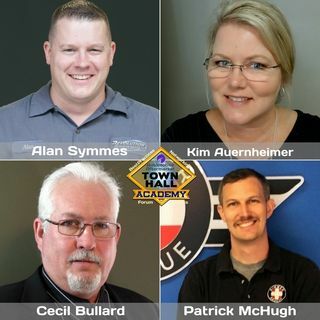 Kim Auernheimer partner with husband Rob in CS Automotive, Brentwood, TN, Patrick McHugh, shop owner, Bimmer Rescue, Richmond, VA, Alan ... See More Symmes, shop owner, Revolution Automotive Services, Norwood, MA and Cecil Bullard, CEO, The Institute for Automotive Business join in the discussion. Listen to real examples of important pivot points from these shop owners. Hear how pivot points arrive when you put your family priorities in play. Pivots show up when you start to run your business as a business. You will have tough days so you need to have great mentors and a strong network and a business coach to support your progress.